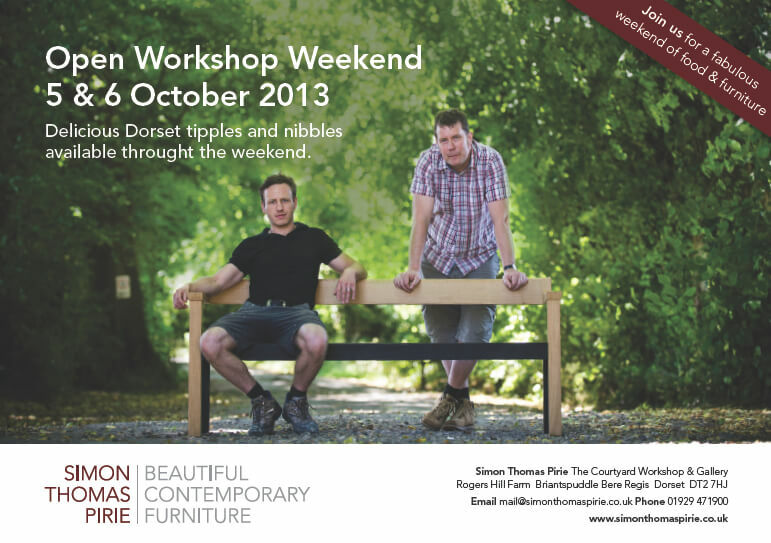 Simon, John & Mike hope you will be able to join them during their Open Workshop Weekend at the Courtyard Workshop. As always there will be a selection of stunning bespoke furniture in the showroom plus a first view of the latest public seating project for Persimmon Homes, designed in conjunction with ZMMA Architects, Shaftesbury & London. 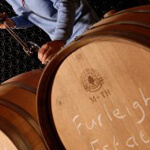 You will be well looked after with tipples and nibbles from an exciting line-up of Dorset based producers including teas from Comins Tea House, award winning wines from the Furleigh Estate and delicious treats from Ashley Eldridge-Ford of Home-Cooked Hampers. But this is also about our own work – as always the gallery space will be full of fine furniture; from cabinets and side tables, from desks to garden benches, from dressing tables to dining sets. We will also have a number of pieces on offer at up to half their ‘to commission’ price, including ex showroom ‘Floating Benches’, the ‘Banquet’ dining table, our ‘Rosa’ dressing table and the beautiful English walnut ‘Ronald’ desk. 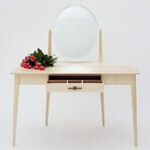 Images left to right: ‘Rosa Dressing Table’ in ash, for sale £2950 (from £4250). 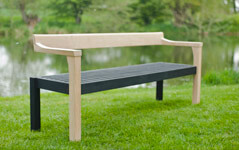 ‘Floating Bench’ in oak and scorched oak, 2 available for sale at £1950 each, or £3500 for pair (from £2950 each). 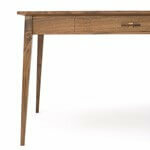 ‘Ronald Desk’ in English walnut, for sale £2950 (from £4250). 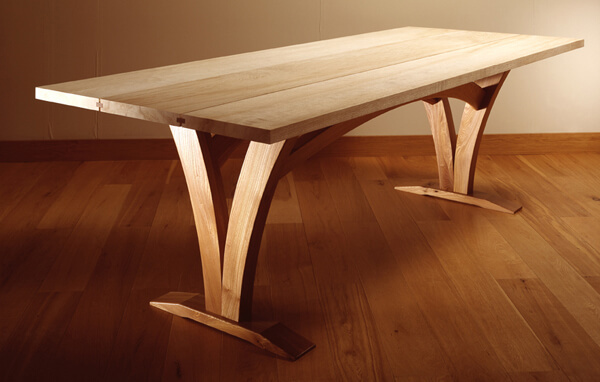 Below: ‘Banquet Dining Table’ in bleached / scrubbed ash with elm frame. 230cm x 94cm, seats 8 to 10. For sale £2950 (from £6250). 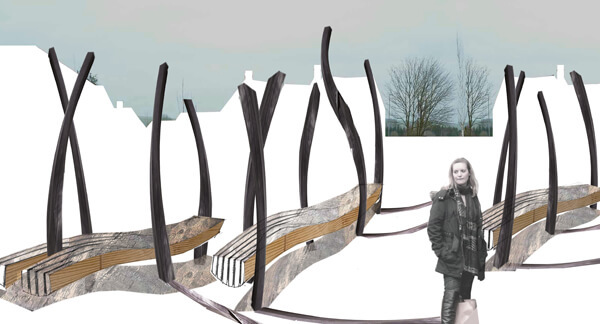 There is also new furniture on show plus exciting work in progress in the form of our huge sculptural benches made of bent, scorched oak logs for Persimmon Homes East Shaftesbury development. We’ve been working on these in conjunction with Adam Zombory-Moldovan of ZMMA Architects for some time now, this is the first of a series of joint public art & seating projects with ZMMA, and its first public ‘outing’. Site work will start late October. Directions: Follow signs for Briantspuddle off the A35 2 miles west of Bere Regis. Keep following signs for Briantspuddle until you see the sign for Rogers Hill Farm (left turn) which will take you back under the main road. The Courtyard Workshop and Gallery is on the right after the avenue of lime trees.